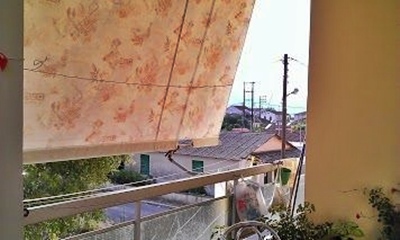 Property For Sale In The Ionian Islands. We are working with Licensed Estate Agents and Private Vendors in the Island to supply plots and new and re sale villas and houses. 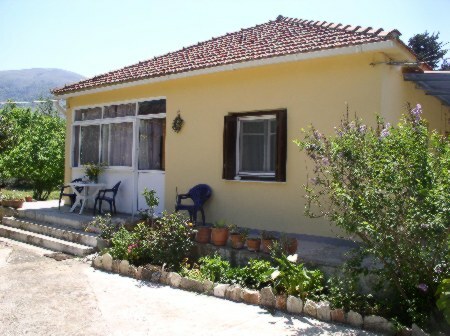 We now have good contacts on Kefalonia for older houses as well as new. 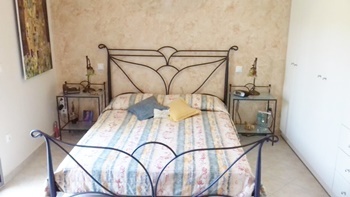 A visit is essential to meet our web partners and check the property lists. We also have many private sales. 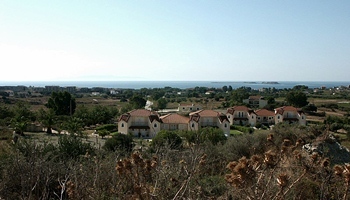 Below are only a selection of plots houses and villas. 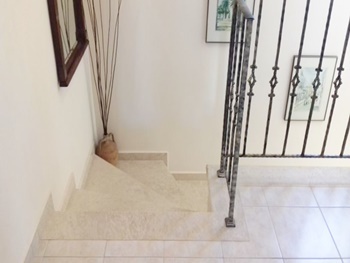 A visit is a must to see the whole range of properties. 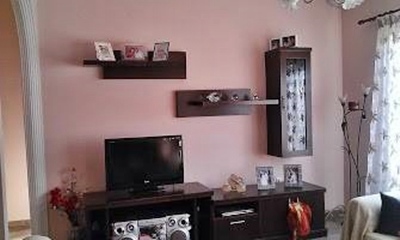 You will be met by a qualified agent, or the owner or caretaker in the case of private property. 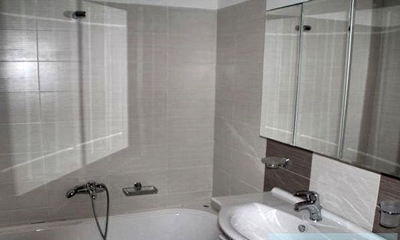 Architects and builders can be recommended for a successful and stress free project. 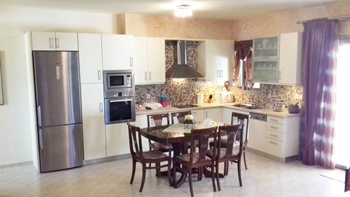 This is a top floor apartment located in the heart of Sami. 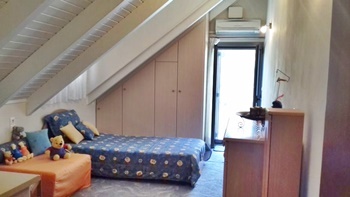 The apartment measures 100 square meters and offers 2 bedrooms, 1 bathroom, living/dining area and kitchen. 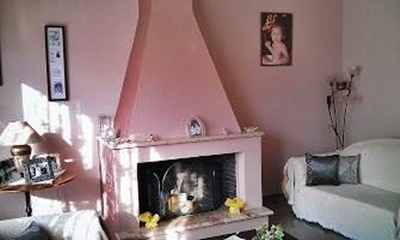 The apartment is in excellent condition and has a fireplace and 3 air conditioning units. 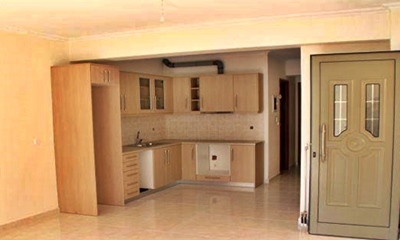 An ideal investment at great value for a property ready to move in! These are 4 new apartments in the town of Sami. 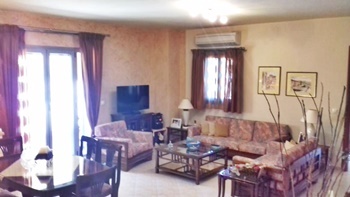 Located only 2 blocks away from the sea front of Sami this building consists of 4 apartments in total plus storage areas in the basement. 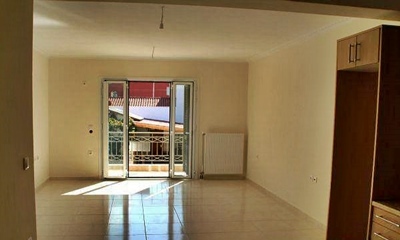 One apartment is approximately 70 square meters and has 2 bed rooms, a dining/living room, a kitchen, and a bath room. 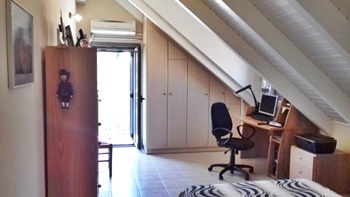 The other 3 apartments have an area of approximately 90 square meters and have 2 bedrooms, a dining/living room, a kitchen, and a bath room. 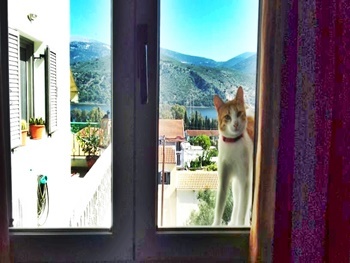 All the apartments have spacious balconies. 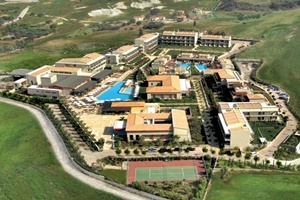 The apartments are for sale off plan and prices start at 140,000 Euros. 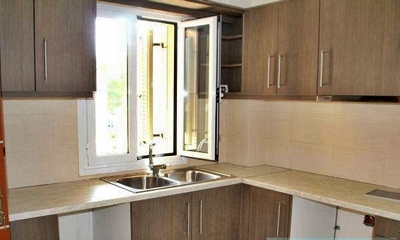 These brand new apartments are an ideal option for one looking for property situated right in the town of Sami. 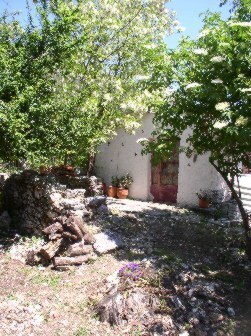 This is a detached house in the village of Grizata standing on a land plot of 420 square meters. 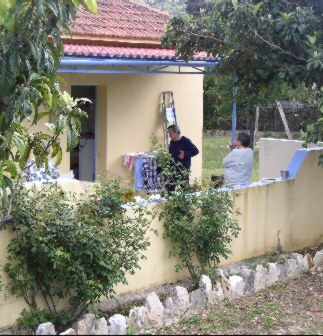 The house is single storey and has an area of 120 square meters. 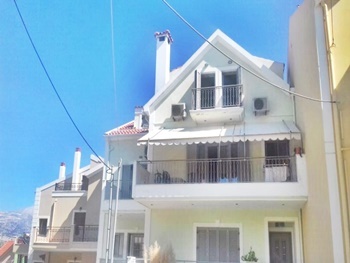 This is a 2-storey 3 bedroom apartment in Argostoli located in a great neighbourhood just a few minutes away from the city center. 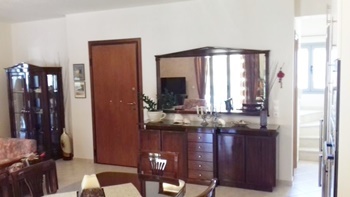 The apartment measures 117 square meters and comprises of 3 bedrooms, 2 bathrooms and an open plan kitchen /living/dining area. 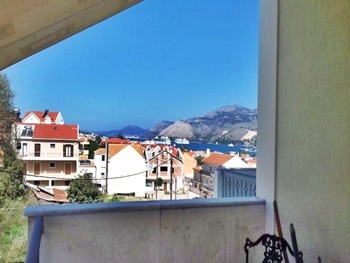 Outdoors there are balconies with views over the the city, the harbour and the surrounding hills. 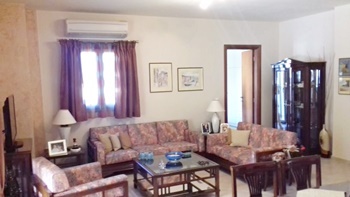 The property was built in 2008 and features air-conditioning in all 3 bedrooms and living room while there is provisional piping fitted for central heating. 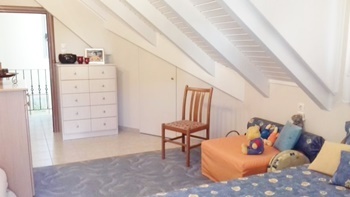 On the basement level there is a private area of 31 square meters that could be a storage room. 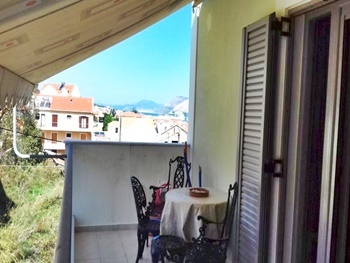 Situated outside Mantzavinata, a small village which is only 1 km away and about 6 km from the town of Lixouri, where there is a wide range of shopping facilities, Banks, Taverns, Supermarkets and a Hospital. 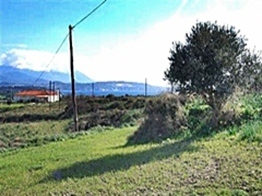 : This plot is for sale in a superb position, not far from the sandy beaches of the south-west coast of Kefalonia in a distance of 1 km from Xi beach, inviting you to swim and relax and enjoying panoramic sea views across the Ionian Sea, and the majestic mountains of central Kefalonia : The plot of 32085 sq.m. 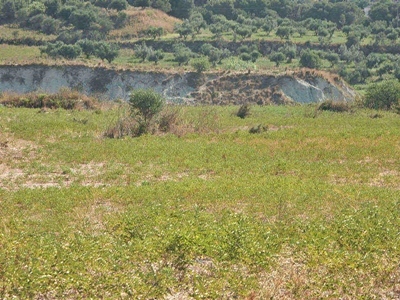 is sloping land, very slightly in the direction of the coast : Electricity, Telephone line and water supplies are near the main road. 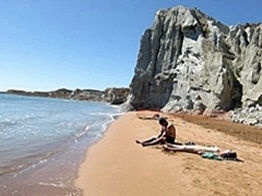 : This is an ideal location either for a holiday home or for a permanent residence. 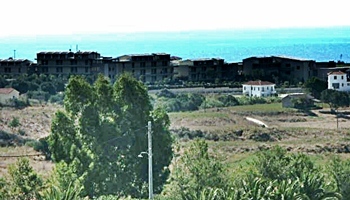 The building allowance differs from each place and the distance from sea, this plot is about 1000 meters from the sea, and therefore differs for house or for Commercial use. For a house the following building allowance, can be used. 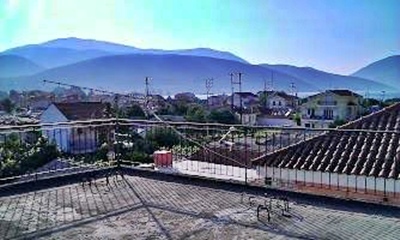 On 4000 m² you can build a house or apartments to 200 + m2 of living space. Total coverage m² : 300 m² or 3 X 100 m². On 32085 m2 in addition +180 m² can be built for Commercial use. 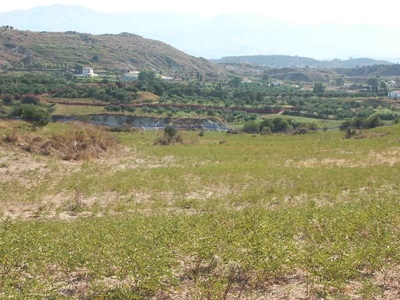 This is a plot of land in the village building zone of Poulata measuring approximately 585 square meters. Positioned at the far end of the village boundary the plot has already got planning permission to build a 109 square meter villa on 2 levels as well as a 27 square meter swimming pool (5,90m X 4,40m). This means that the buyer of this property is able to begin construction straight away after the purchase without any other paperwork getting involved ! 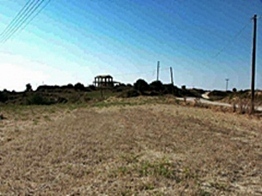 The plot enjoys views of the sea and has got an access road, while The water and electricity networks are already there. This is a great buy for someone looking to build. 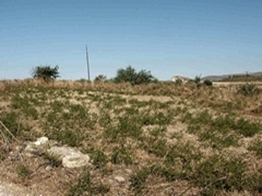 LAND for sale 5006 m2 at a very reasonable price. 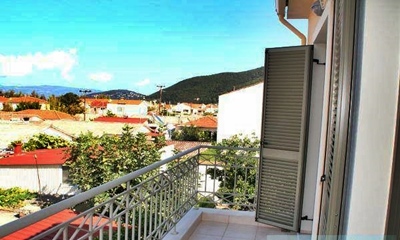 Mountains views, Sea views and close to beaches. 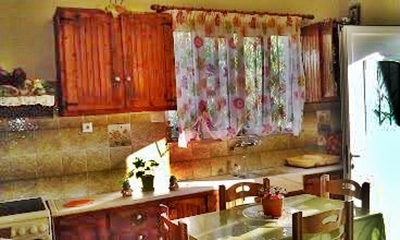 Electricity, Telephone line and water supplies are available directly on the property. Topography, Archaeology and Forest Service paperwork is up to date and already approved. 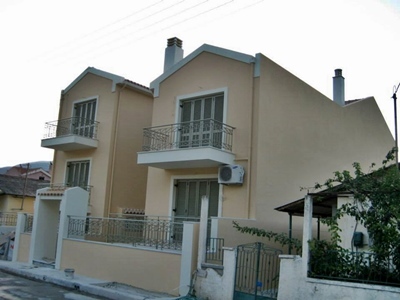 Situated outside Mantzavinata a small village which is only 1 km away and about 6 km from the town of Lixouri where there is a wide range of shopping facilities, Banks, Taverns, Supermarkets and a Hospital. 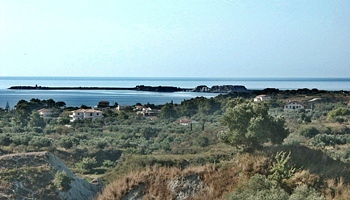 This is a fantastic opportunity to purchase a plot for sale in a superb position, not far from the sandy beaches of the south-west coast of Kefalonia in a distance of 1 km from Xi beach, invite you to swim and relax and enjoying panoramic sea views across the Ionian Sea, and the majestic mountains of central Kefalonia. 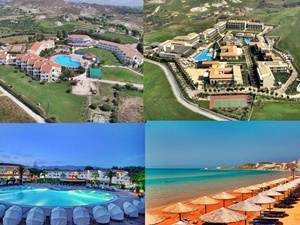 Nearby there is the Apollonian 5 Star Hotel, the Kefalonia Hotel, and other Hotels which are all available with their facilities in this rapidly expanding area. 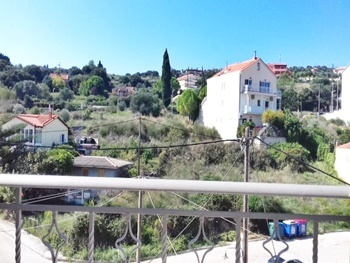 To Make Contact With The Owner Please E Mail Brian And Ask For KEFALONIA PLOT GE/010 E Mail Brian. 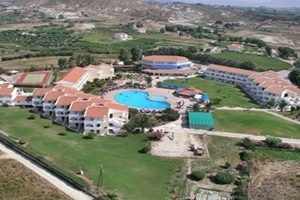 Set in a large plot of 2,300 square metres it is only 2kms from the famous Myrtos Beach in Kefalonia. The property includes a village house of 70 square metres and a detached store house of 25 square metres set in 2,300 sq mts of gardens with 15 trees and various shrubs. 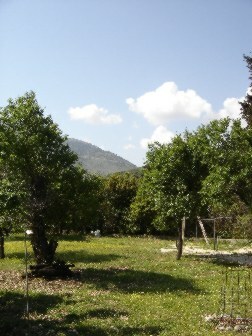 There are Fig, Lemon and Almond trees in the gardens which are watered using a garden watering system. The electricity is on mains supply. 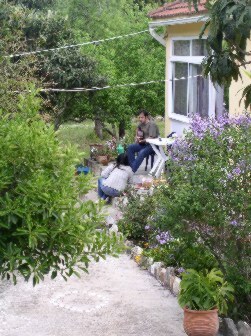 There is beautiful water from a large well in the garden. The house requires some modernisation but is perfectly habitable as it is. 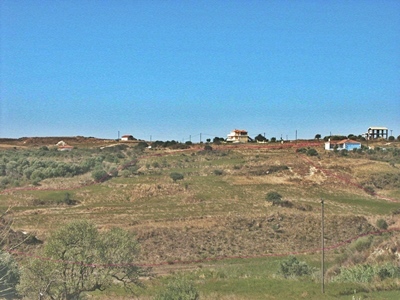 The plot is within the village building zone and licensed for development of a small villa or a number of small houses. 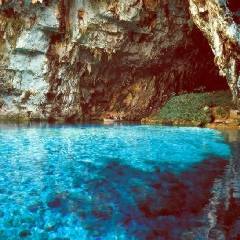 It is located in the Hamlet of Bekatorata, which is just 2 kms from the beautiful beach of Myrtos. 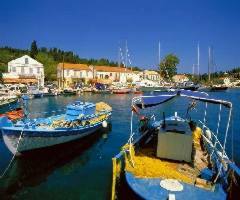 Bekatorata is located in the South West of Kefalonia, 3kms from Agia Efthimia harbour, and 9kms from Sami port. 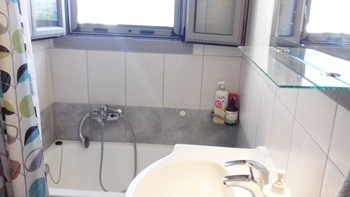 Only Three Minutes Walk To The Minimarket And Village Amenities.